Not in your writing, but in your life. Be Boring is Rule Number 9 out of 10 in Steal Like An Artist: 10 Things Nobody Told You about Being Creative by Austin Kleon. And when I read this rule, I sighed with relief, because my day-to-day life is a snore – to everybody but me. This is not, of course, how Hemingway and Fitzgerald worked, but their biographies compete with their work, and they burned out early from alcoholism (Fitzgerald) and suicide (Hemingway). Not the way I want to go. Take care of yourself: eat right, get sleep, brush your teeth. Keep a calendar: plan when you’re going to write and what – and stick to it. Marry well: Kleon says this may be the most important decision you ever make, which is very old school. There’s a lot to be said for marriage, and I’ve been lucky in mine, but marriage is hard, and not for everyone. That said, the partners, lovers, friends, and/or relatives who see you through thick and thin all deserve books dedicated to them. Those of you who are regular readers of this blog, know that I rarely contribute to the Saturday Edition, where contributors recap what they’ve written during the past week and what they’ve read. I don’t contribute because I’d write the same thing week after week: Worked on my novel this week. It’s what I’ve been doing, week after week for going on 130 weeks – and counting. And you know what? It pays off. I have a good book that’s getting better every day I sit down to work on it, which is at least five days a week. 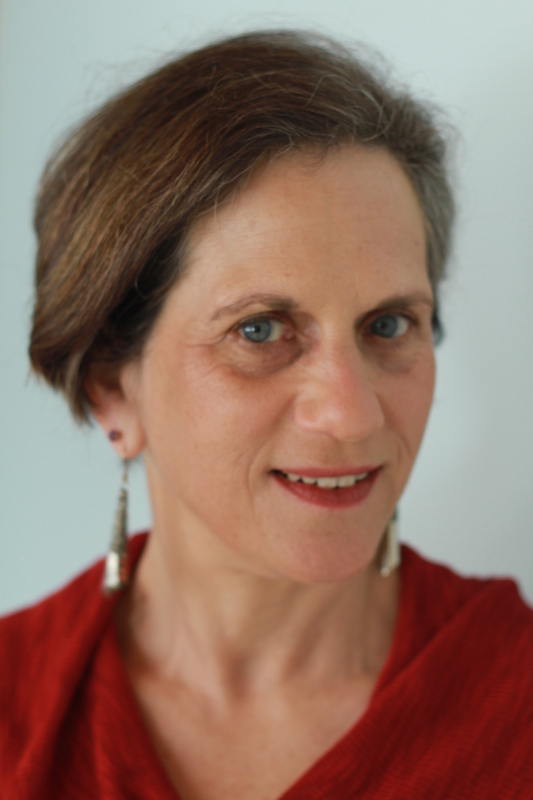 In the end, my biography will not be a compelling one – and that’s okay with me. It’s my stories that count. Mine might be compelling–it would certainly be nice–but yes, it’s the stories that count. Being a writer is a huge story of one’s own. 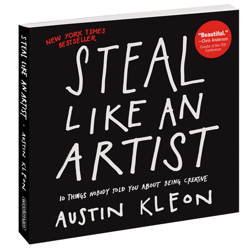 I highly suggest you read the book by Austin Kleon! Thanks. I enjoyed taking five days away to visit family. I feel a huge goal lies just ahead as I complete the first draft of a story that has been forming for months. I have become too distracted by the advice of others on how and why I should do this or that to be a good author. As I complete this story, I know there will be more work to do now to inspect, prune and shape it, but fear should never be the inspiration for what I do next. When our ears are too focused on the myriad opinions of the crowd, fear of failure chains us down. Choose wisely those you will travel the distance with and stay the course and leave the crowd of opinion behind. All good advice. Good luck with your project! This is a great read for authors, budding or otherwise. I’m ALWAYS reading the Help Wanted Ads for this very reason – but for the nonce, I’m doing okay Just Writing (as if that’s all one ever did!) In fact, I’m just back from a woods-walk with the dog – because it is such a spectacular NE day. All best, Deborah. Being boring could be the biggest challenge I face and so is completing a satisfying, well written story. Maybe I should just get married! Good luck with whichever path(s) you follow . . .Thanks for following our blog. I have been struggling with my decision to place the child in daycare, put the notebook in my purse, and go on to start teaching in the fall. This post helps me know that I made the correct decision. Thank you. Good luck with your plans. I think one of the good things that kids learn when their moms have careers is that their moms have interests beyond their kids – since we hope that our kids will also develop interests beyond themselves. Sadly, I’m no longer surrounded by beehives. I kept bees for 27 years, but a bear took out the last surviving colony last fall, and I haven’t replaced them . . .yet. Maybe when I run out of honey! Another very interesting and beautifully paced post. Thanks – and do let us know when the book comes out! Thanks, Adam. And yes – of course I’ll let you know when Ellen is published! A logbook is a great idea!! I should start. A logbook is a great idea – but don’t should all over yourself. No writer needs another way to beat herself up. – my two cents, anyway. Thanks for reading the blog – Best, Deborah. Another great post with great advice. I’ve long known that my biography would be rather boring, and I’m okay with that, too. I really enjoyed reading this book. I have his second book “Show Your Work” too! Thanks for letting me know – I’m looking forward to reading it! Great post – thank you. I had a professor who likened keeping your life real so the writing could be amazing to Weight Watchers: if she pubicized her program, she was unable to follow it. Go figure. How reassuring! Looks like I’m right on track 🙂 thanks for a lovely post.